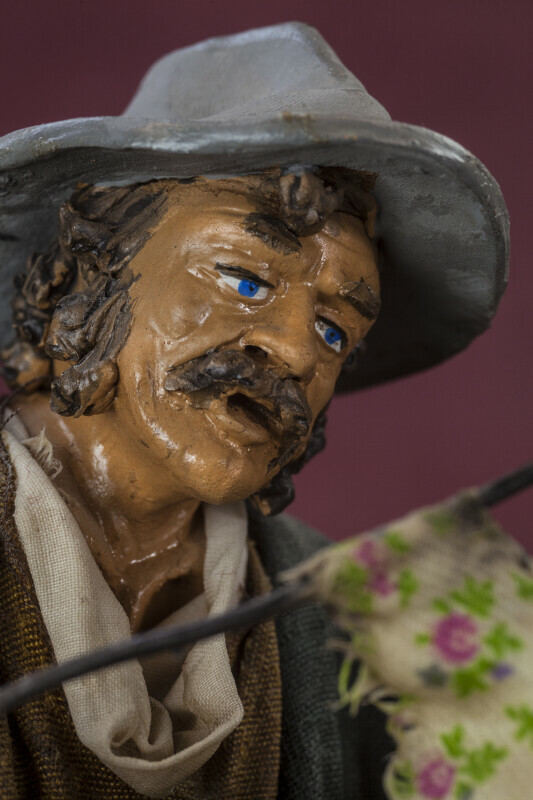 Ceramic figure of a man in Sicily who is fixing umbrellas. He is sitting on a stool with one umbrella on his lap and another at his side. The umbrellas are made with wire rods and cloth that is covered with lacquer. He is wearing a worn hat and his facial features are hand painted. Tag: "Si certifica che la presente opera deriba da una originale e personale creatibita Giobanni Alderisi." The figure is 9 inches (23 cm) tall.